HALIFAX—When Will Brewer was walking in the Halifax Pride parade with Prime Minister Justin Trudeau last summer, he never expected that the next parade would mark his first event as the official town crier for the Olde Town of Halifax. “I never thought of that,” Brewer said in an interview. “It’s going to be awesome. Like last year I walked as town crier but not the actual like peninsula or Olde Halifax crier … This year it will be my very first official duty,” he said of the upcoming July 21 parade. 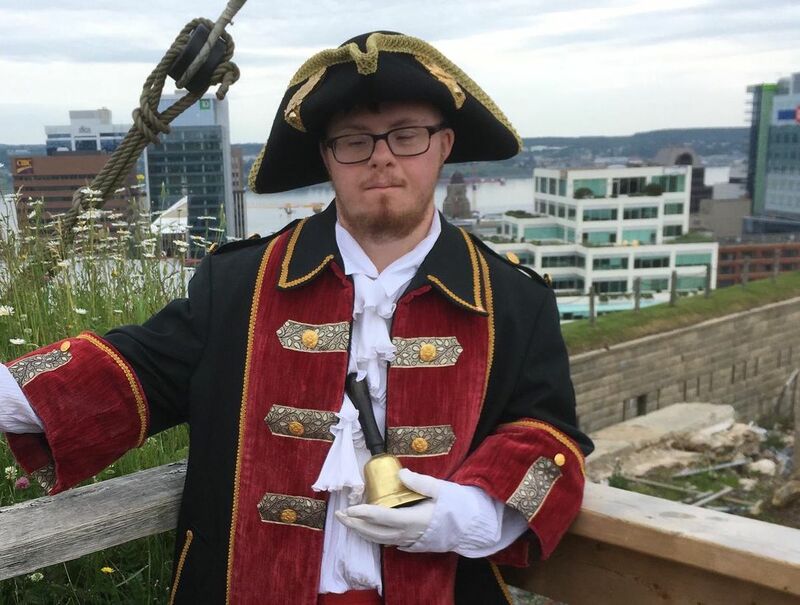 After two years of trying, Brewer, who has Down syndrome, was named the official Halifax Olde Town Crier at Sunday’s Canada Day event, filling the position that has remained vacant since Halifax’s previous town crier, Peter Cox, died in 2009. Deputy Mayor Waye Mason threw together an impromptu ceremony when he saw Brewer was at the municipality’s annual Canada Day pancake breakfast on Sunday. “Making it official passed without comment about a week and a half ago at council,” Mason said Monday. “As soon as Waye said ‘Will, it’s time,’ that’s when I thought, ‘Oh my God, it’s going to happen,’” Brewer said in an interview. The appointment opens up the door for Brewer to join the Nova Scotia Guild of Town Criers, which sent a letter to Mason in May inquiring on his status as town crier. Brewer attended the guild’s annual general meeting in 2017 as a guest but, in order to join the guild, he needed to be officially appointed by “a city, town, or district.” On June 15, regional council voted to select Brewer as the Halifax Olde Town Crier. HRM currently has three other town criers: Greg Fenwick in Sackville, Bob Raoul in Spryfield, and Jamie Rouse in Eastern Passage. “It’s a lot of fun, he’s an outstanding young man and he’s really into it,” Mason said of Brewer. According to the guild, town criers were a fixture of Nova Scotia communities throughout the 19th century, spreading news and making announcements about local affairs. It was Peter Cox that revived the tradition in Halifax in 1974. Now the position mostly involves attending festivals and events around the community, sometimes making announcements at government events. Brewer said that being the town crier was never something he had considered until it was mentioned to him by a family friend after Peter Cox died. “It all started with the help of Renee Forrestall, she’s an artist in Halifax,” he said, whose daughter is popular local artist and designer Marie Webb, who also has Down syndrome. Having been invited to speak across the province, Brewer has a long history of activism for people with disabilities. In assuming his new role he is the first person with Down syndrome to be named an official town crier in Canada, as well as the youngest town crier in Nova Scotia, as Brewer is in his early 30s. He hopes to continue to give a voice to people with disabilities in his new position. “The reason why it’s important to me is now I can actually do something that I love. Not just more of an activist but also being like the first (with) Down syndrome in Canada to fulfil that duty,” he said.